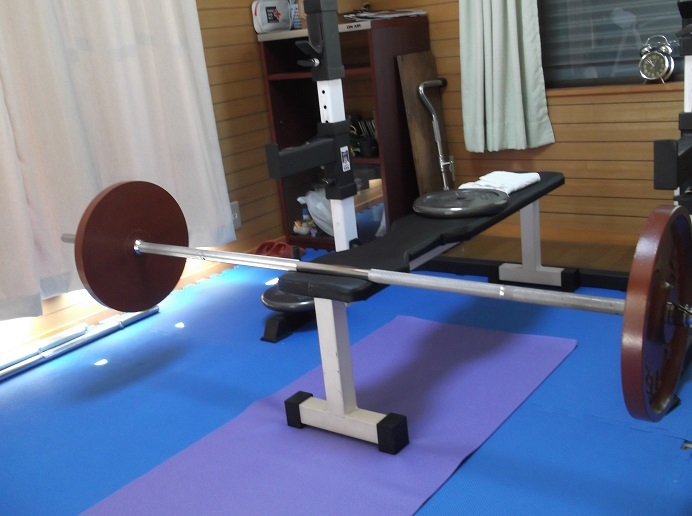 膝からのデッドリフト　Deadlift from knee level: Exercise & Language Instructor Fitness journey ENDO's Walk on ! When I had my leg workout on this Tuesday, I tried stiff legged deadlift from the knee level as well). Unlike regular style deadlift, I place a barbell on the bench, and started pulling from there. I liked the feeling of this variation as well. I'm going to add this type of deadlift to my routine sometimes.